By John Board. A limited edition print produced by Blacklock's Bookshop of 100 from an original ink drawing by John Board. 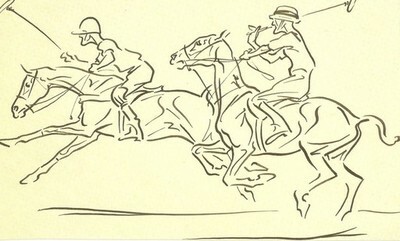 John Board had a remarkable gift for depicting the polo pony in action. Image size 23cm x 14cm approx. Sold in Ivory coloured mount.